What can Northeast Indiana do to better communicate our story to local and national media? 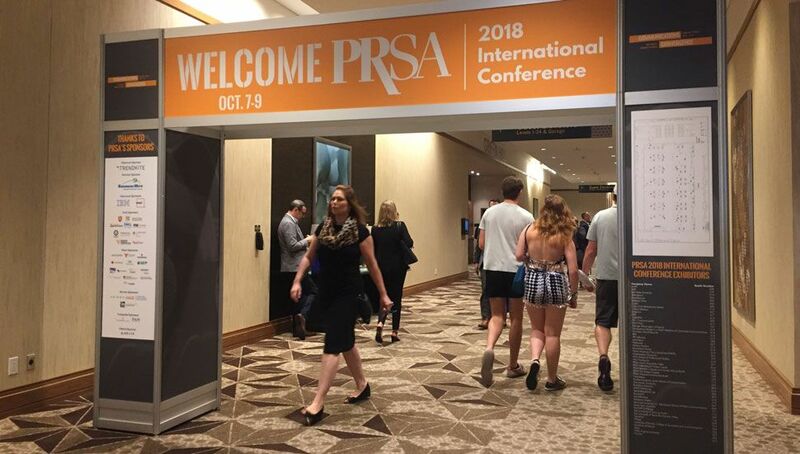 That’s the question I was looking to answer while attending the 2018 Public Relations Society of America (PRSA) International Conference. 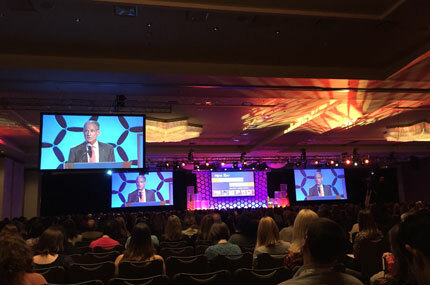 There I was – a former journalist turned communications professional – sitting alongside more than 2,5000 top-ranking public relations professionals from around the world. 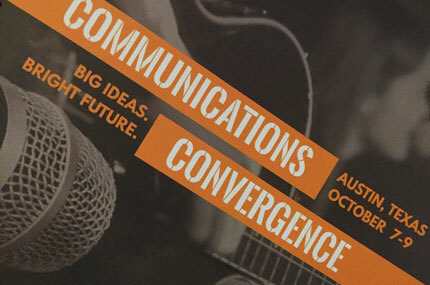 The overall tone of the conference highlighted the radical disruption happening in the PR and communications industry. The landscape is changing, and the way newsrooms operate are drastically different due to limited budget, resources and time. PR pros have tools, technology, data and results at our finger tips, but as publications are folding, and content is going digital, what results should we expect from our public relations efforts? Conference speakers agreed that, despite the disruption to past norms, public relations can be more influential than ever. Michael Smart of Michael SMARTPR shared the statistic that today there are 6 public relations professionals to every 1 journalist. Today, PR pros are given the unique opportunity to submit content and have it published verbatim. So, now that PR folks are even more empowered to share their content and have it published, what tips can help PR pros tell their story? Here are three tips for PR pros no matter the industry or storyline. During the conference, I learned about the P.E.S.O. model from marketing experts at MediaSource TV. They said the PESO model can help organizations integrate marketing content into unique content customized for each channel, which can drive results and increase the reach of your organization’s message. Paid Media – This is any communications channel in which money is paid. This can include everything from sponsored social media posts to traditional advertising methods. Earned Media – This is published content from a third-party source including media, stakeholders or influencers. Influencer campaigns are a wildly popular way to grow your brand, reach new networks and influence others through third-part endorsements. This is also a way to bring a diverse variety of brand ambassadors to the table. Shared Media – This includes information shared or commented on social media channels as well as co-branded content. Owned Media – This is the content you publish in your organization including a blog section, newsletter or other in-house content. 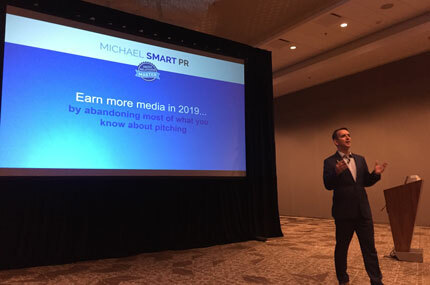 Michael Smart, mentioned earlier in this article, shared his expertise on media pitching. He asked PR pros to consider pitching to niche publications in addition to top tier because it allows brands to focus their voice and message to their target audience as well as members of the general public who often read top tier publications. 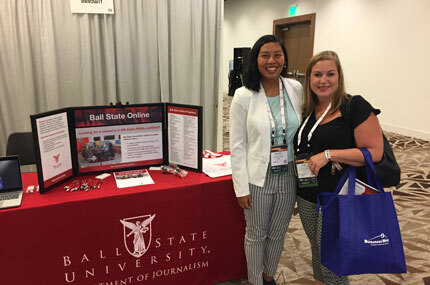 Today’s newsroom is a multimedia newsroom and that means today’s PR pros need to be able to write, take photos, shoot video and put together multimedia packages. That’s the edge in today’s PR landscape. With limited resources, journalists now are publishing submitted content more than ever. How can you serve journalists better? MediaSource suggests writing broadcast scripts, developing news packages with and without a voice over and even developing a multimedia media center landing page for your website. Now that’s a way to also leverage the PESO model to make your PR efforts to go further. Public relations strategy and the above tactics drive results, impressions and published articles. So far, the Regional Partnership’s results for 2018 are impactful. Through our national and local public relations efforts, the Regional Partnership has generated more than 2.5 million impressions in national publications and worked with local media to secure more than 200 regional articles. These 2018 results demonstrate the significant impact that public relations can have on telling our region’s story to business and talent locally and nationally. But why is public relations work important to growing our region’s economy and attracting business and talent? Well, we need all the help we can get as Northeast Indiana works toward our three tenacious goals to achieve by 2030: increase per capita personal income, grow our regional population and raise educational and credential attainment. Those of us living and working in Northeast Indiana very well know our community has a competitive business climate with the incentives, infrastructure and resources to attract business. But, if those perspective businesses looking to relocate don’t know about our low corporate taxes or about our stronghold on the orthopedic industry or any number of the additional benefits of doing business in Northeast Indiana, we won’t attract those businesses. By placing strategic stories in niche publications like Medical Devices Today, we can reach an audience of c-suite executives and business decision-makers. Those of us living and working in Northeast Indiana deeply invest our time, money and energy into making Northeast Indiana a place where people want to call home. But, if talent doesn’t know about the numerous job opportunities or the high-value yet low-cost of living in Northeast Indiana, we won’t attract the top talent we need to grow our regional population. By placing strategic stories in niche publications like Buzzfeed, we can reach a large number of talented people looking for their next opportunity or home. As Northeast Indiana pushes for media coverage and we continue to tell our story, I will use the insight from the PRSA Conference to be my guiding light and maximize the region’s efforts to generate more public relations results as we attract business and talent.